The site that started it all! Back in early 1999 we found a cool web site. It was a site called Freei.net. They provided no cost internet dial-up access. Free Internet access was new in early '99 and hard to find information about. We created a web site that provided information to the web community on how and where to find free internet access. As we surfed the web we found other great deals and free services to tell others about. 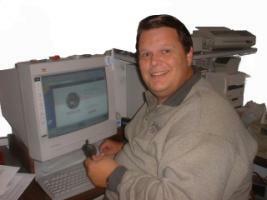 Thus was the beginning of Savei.net - the Internet Savings Network web site. We started building sites for friends and associates. We combined our technical and marketing backgrounds could be blended to deliver a complete package. Look at our portfolio for a partial list of sites we have worked on. Creating and marketing web sites is our love and our passion.